Last month we had a very simple ‘local tourist’ day when we wandered along the river, and you know what? We really enjoyed ourselves, despite the dull weather! Needless to say we had a “We should do this wandering thing more often” moment as a result. May Day is a Holiday in the UK, so we used our extra day off to jump on a bus and have a pub lunch ‘in town’. 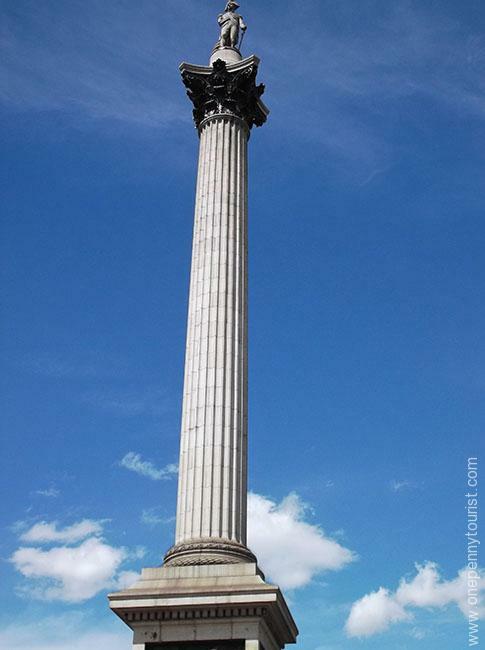 I decided not to take a Shaun in the City map with us and just go with the flow, but I knew there was a Shaun in Trafalgar Square so that’s where we aimed for. Directly across the street was his sheepy doppelgänger, Nelson Shaun. 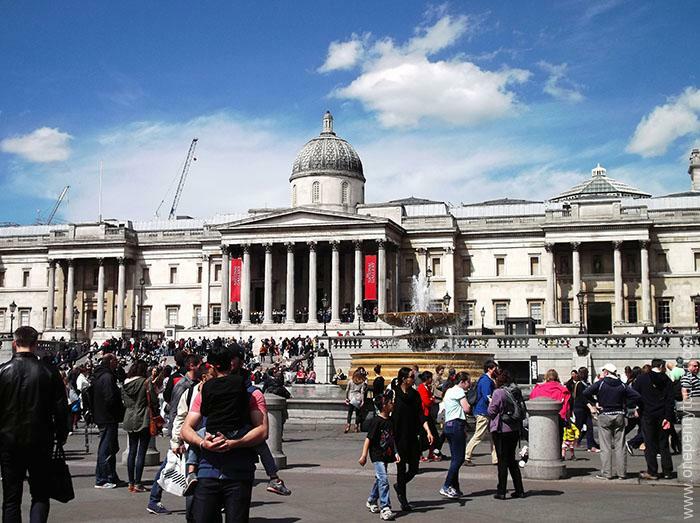 The fine weather meant Trafalgar Square was pretty busy, especially in front of The National Gallery where huge packs of people surrounded the street entertainers and ‘living statues’. 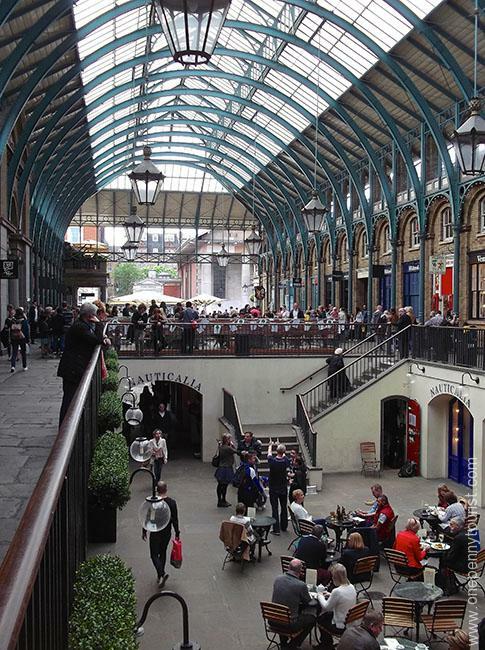 We decided to head straight towards Covent Garden which was just a short walk away, though it wasn’t really a surprise to find that the Covent Garden piazza was nearly as busy. At least we managed to find another Shaun in the process though. The nice weather was clearly enticing people outside as inside the main Covent Garden market building it was much quieter. There was even a rare empty table downstairs. We decided to treat ourselves to a drink in the Punch & Judy pub where Bloke enjoyed complaining about extortionate tourist prices. To be fair, he had a point – £5.70 for a pint!! Lunch beckoned so we moved on to The Maple Leaf, a new pub for both of us. It describes itself as a Canadian Sports Bar but aside from showing Ice Hockey on the TV and a few hockey jerseys on the wall, it was more pub than a sports bar, at least during the daytime. Bloke got to try some new Canadian beer he’d never heard of. Sleeman India Pale Ale and Sleeman Honey Brown. Both were enjoyed but I’m told the Pale Ale was the overall winner. 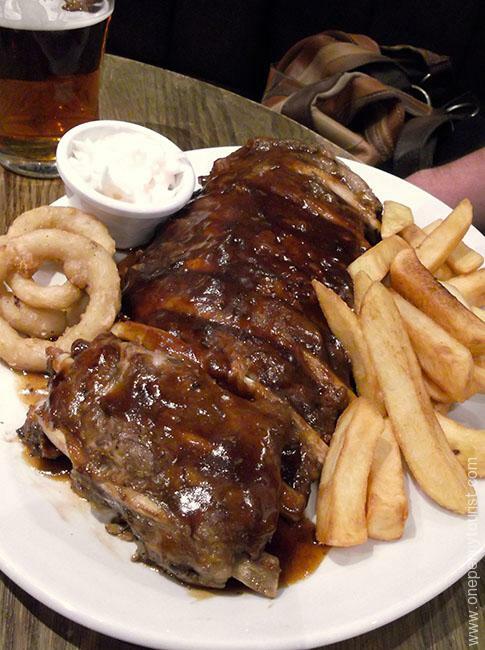 After perusing the menu Bloke chose the ribs and I went for the Mixed Grill. The ribs seemed to go down well with Bloke, but they lost marks for my sausage being burnt black on one side (no doubt why it was hidden under the chicken on the plate, grr), and the peas were super shrivelled from presumably being left under a heat lamp too long. Verdict: As a pub, it was a nice enough bar to hang out for a drinkie or two especially with the Canadian beers on tap. There’s some fun theming going on with hockey shirts on the wall and even a stuffed bear in a cabinet. They also had this amusing sign in the fireplace. 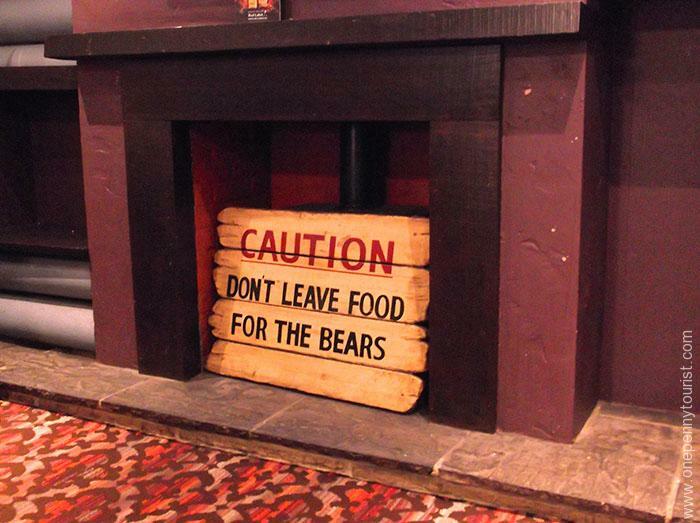 Don’t feed the bears that live in the fireplace, ok? Food wise? 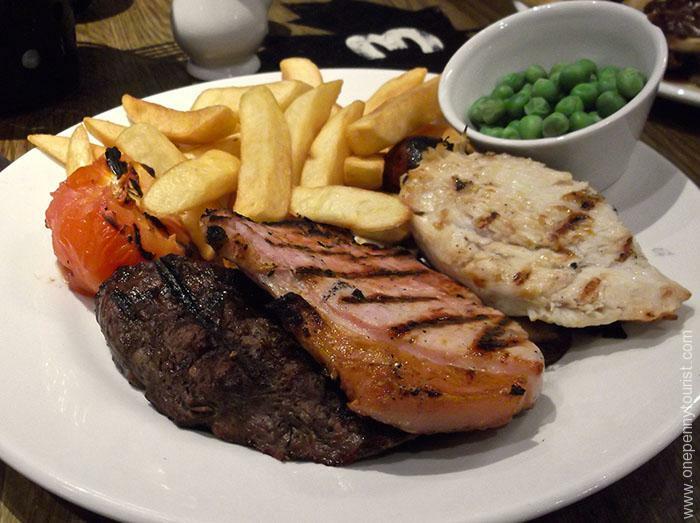 As pub lunches go, the food wasn’t bad…but it wasn’t great either. Every kitchen can have a bad day (seriously, those peas should never have made it to table), so I’d give them a second chance. However there are many decent pubs and restaurants in the Covent Garden area so it’s probably not a place I’ll return to for a while. Anyhow, ‘re-fuelled’, we pointed ourselves in the direction of home, but as we’d just eaten we decided we’d have a little walk first. This actually turned into a fairly long walk down The Strand, Aldwych and along Fleet Street – before we knew it we were at St Paul’s Cathedral. 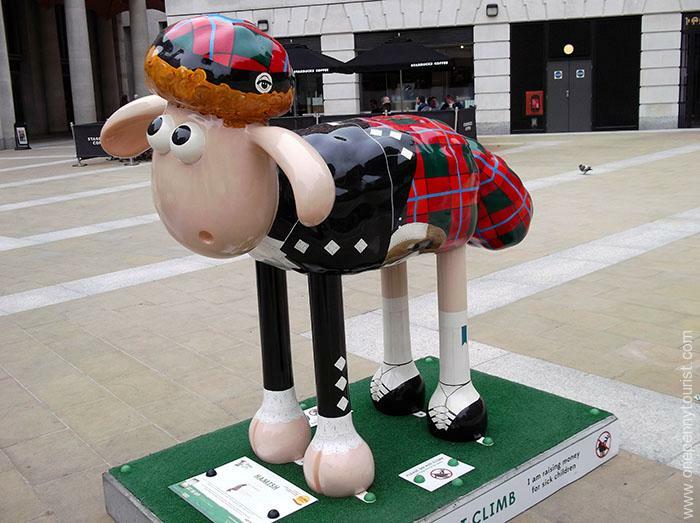 We’d not had much luck with our Shaun hunting so far but now our luck changed! His body is painted with clouds and cherubs, and I love the way his eyes are looking up to the sky…or a painted cathedral ceiling, however you choose to interpret it. Those are the front steps of St Paul’s in the background, however trees hide the cathedral. Baa-roque’s sponsor Burges Salmon tweeted a photo before the leaves blocked the view. Not a minute away we found our next statue. 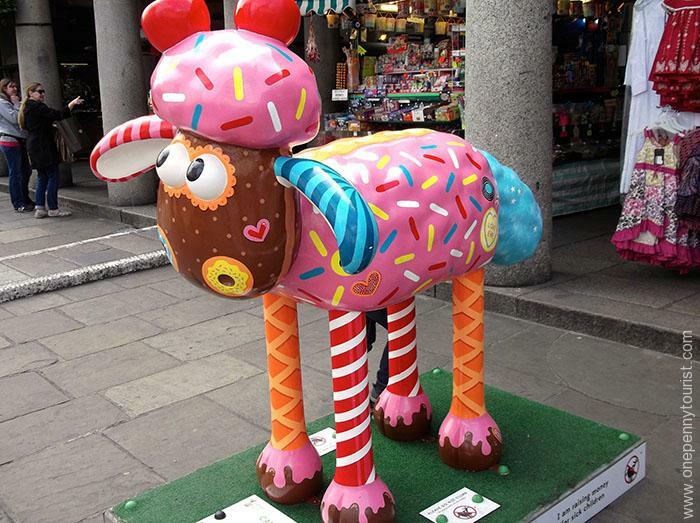 Literary Lamb Shaun is covered in words with double meanings. 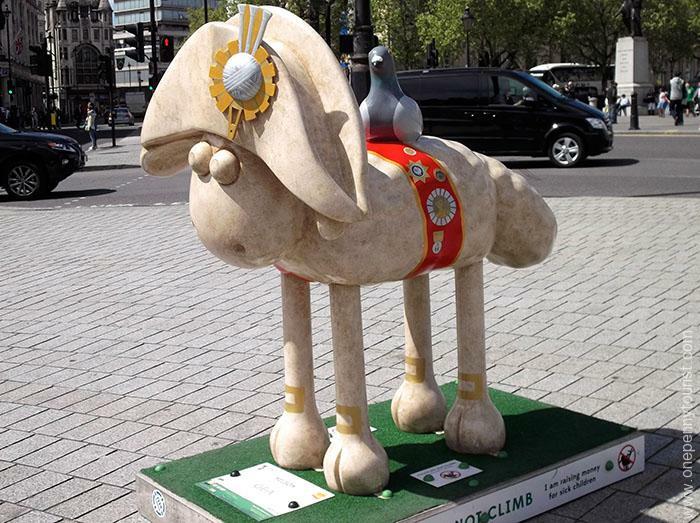 Initially I wasn’t sure what to make of this Shaun. He’s decorated with words and phrases that have double meanings, so it’s almost like he’s a giant word puzzle. 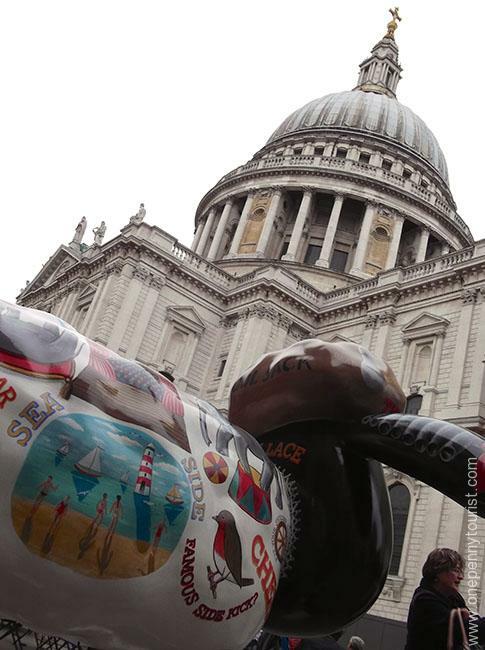 I couldn’t resist taking a photo of him in the shadow of St Paul’s. 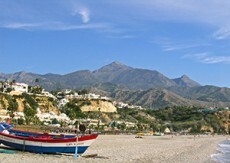 Sadly the blue sky had gone by then, to be replaced with solid white cloud, boo. 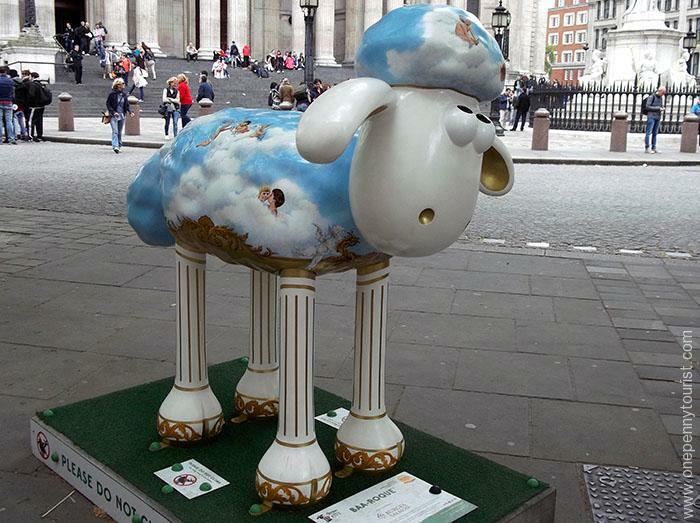 Then, literally right around the corner in Paternoster Square we found a third Shaun. 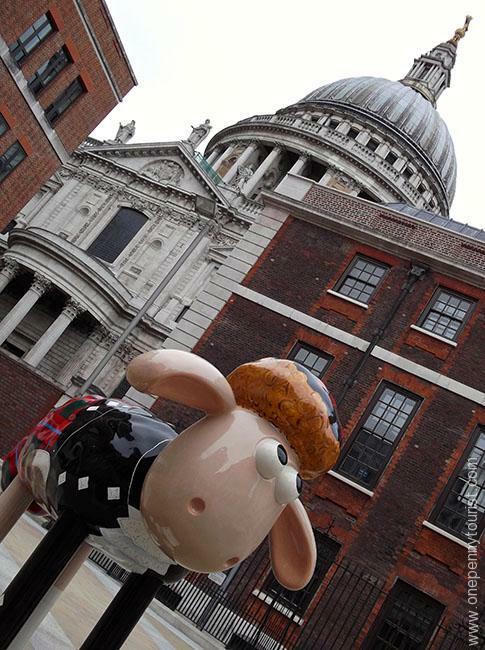 Just so you can get an idea of how close by these three sheep are to each other, I mimicked the previous photo with St Paul’s in the background. 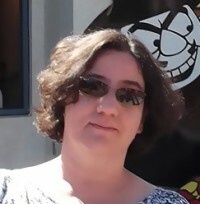 I also couldn’t resist this photo. 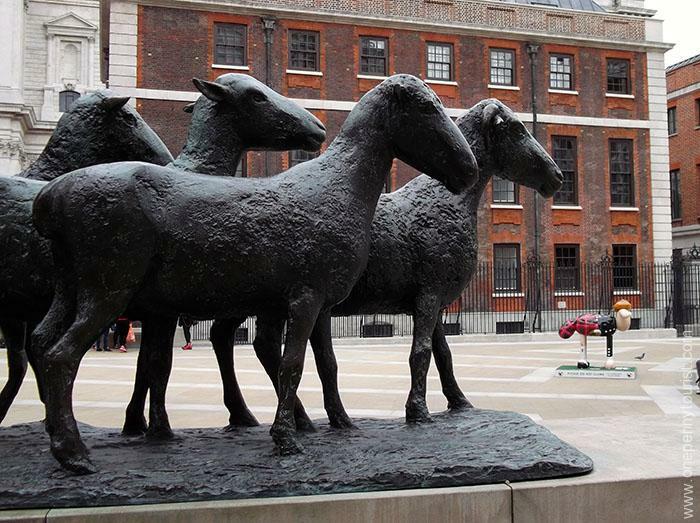 Shepherd and Sheep is a sculpture in Paternoster Square so I thought it would be fun to include Shaun in with the herd. Shepherd and Sheep statue with Hamish lurking in the background. Are you on Pinterest? If so I’d love to see you over there too. I have a London Board so do come check me out if you’ve a free moment.